This pan measures 16" x 16" x 8". Made from 20 ga stainless steel mill finish (not mirror). 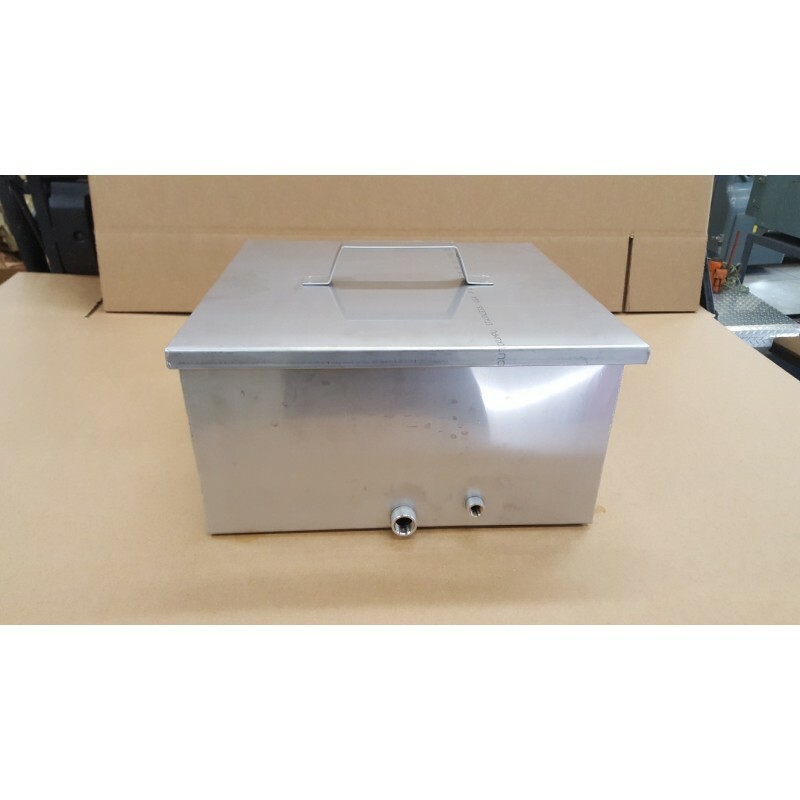 This pan can be used to finish a batch of maple syrup and/or use the tray and a flat filter set to finish filter and bottle your syrup. The drain fitting is 1/2" npt and the thermometer port is 1/4" npt. The pan will hold approx. 5.5 gallons of syrup to the bottom of the filter tray. 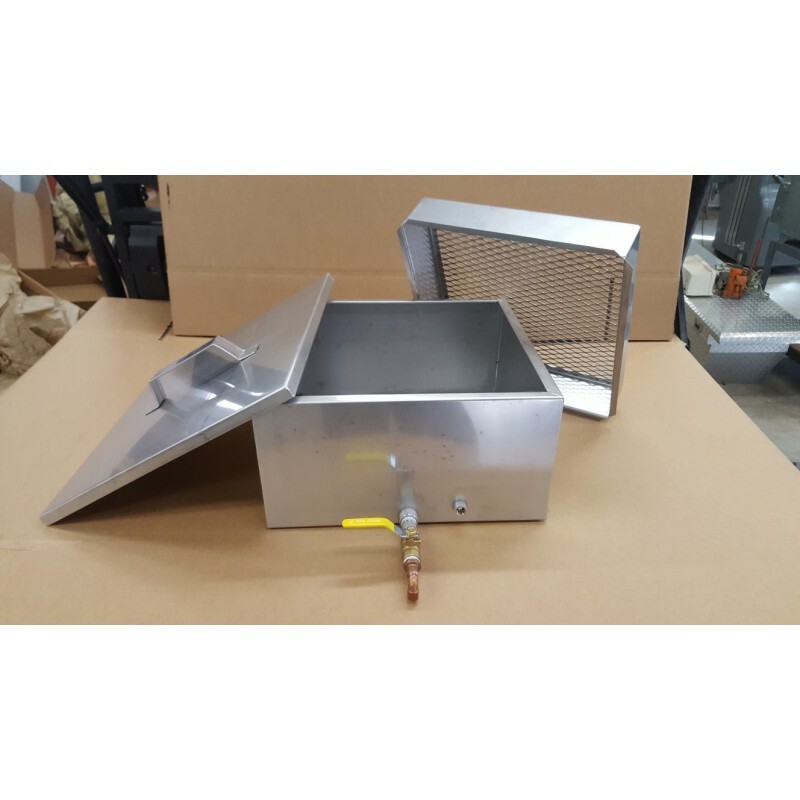 You will receive the pan, filter tray, lid, 1/2" bottling valve, 1/4" plug, and 1 main filter and 3 prefilters. 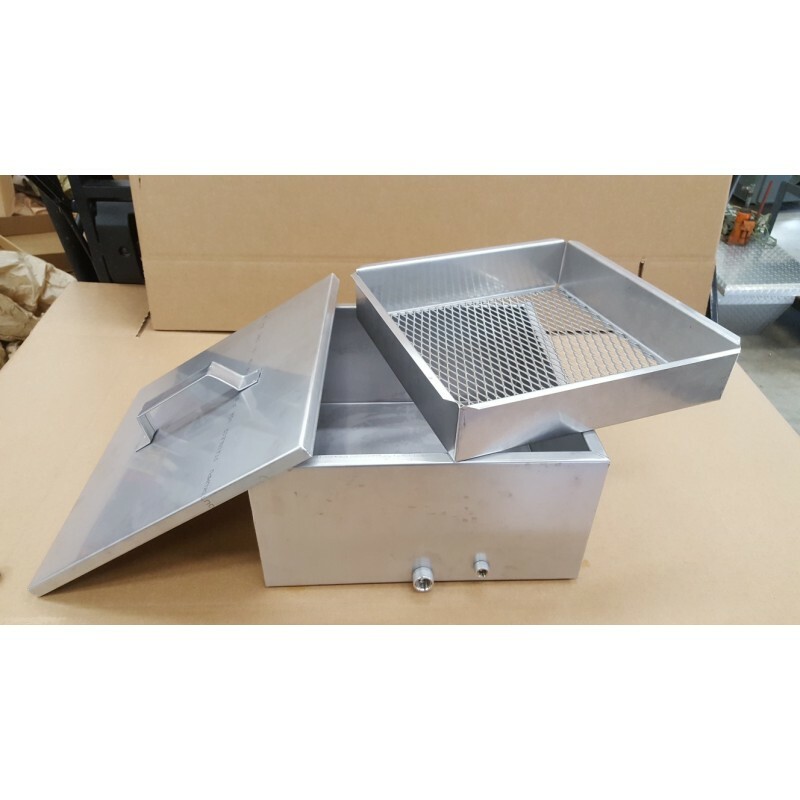 ****Optional steam tray pictured. Never burn your syrup or reboil it after filtering with this. Just fill it with an inch or two of water and put it on your stove with the filter pan on top while canning. 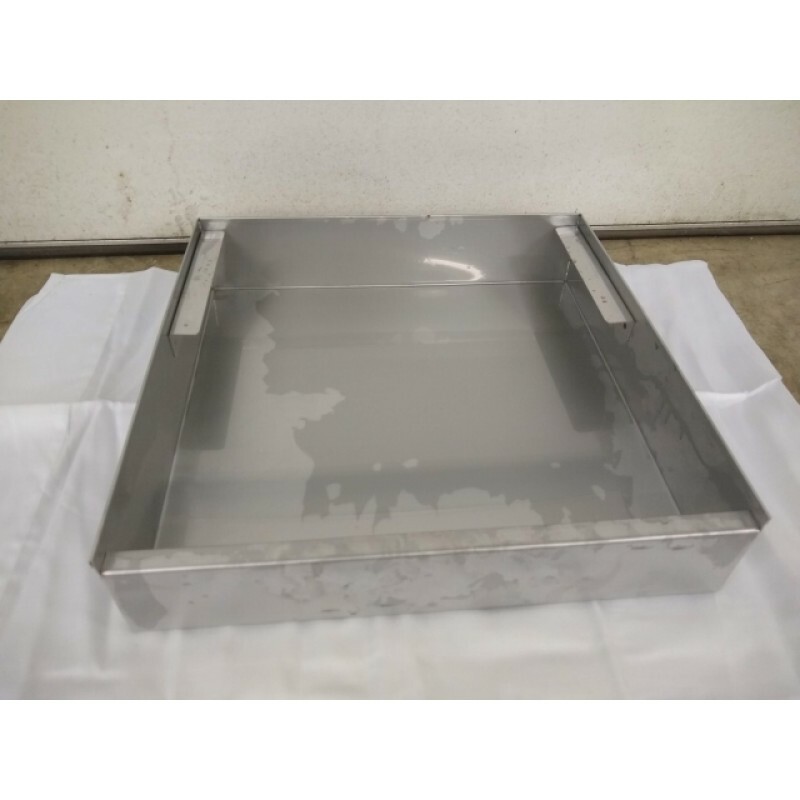 Product Code: Flat Filter Pan 16" x 16" x 8"
24"x48"x8" maple syrup pan. Made from 20 ga 304 stainless steel. It is fully tig we..
9.5" tall hydrometer fits 8" hydrometer cup. Hydrometer is for testing syrup when finishing. &.. 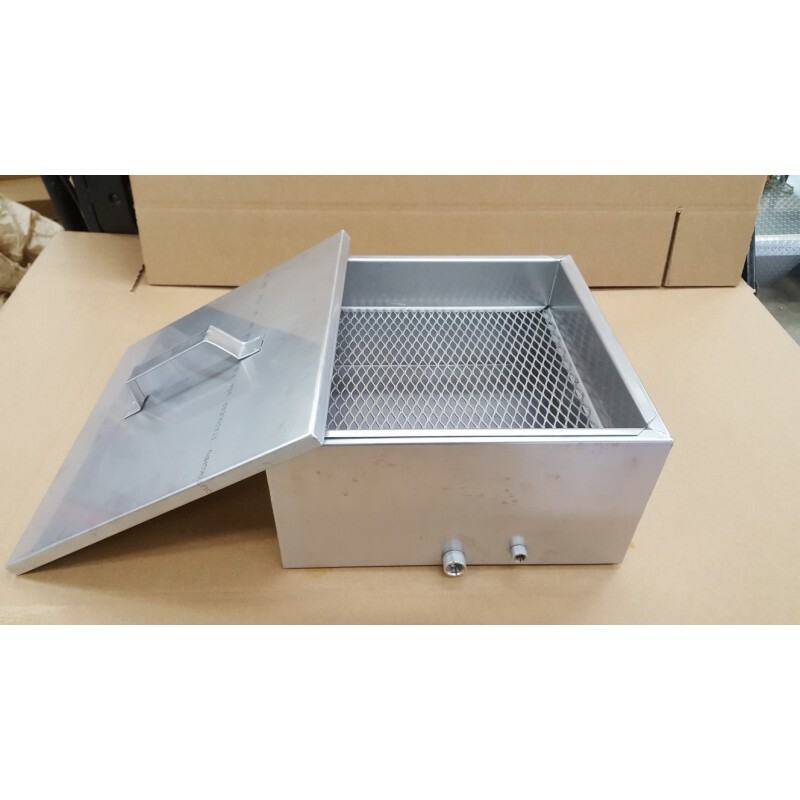 This filter fits our 16"x16" filter pan and can be washed and reused many times. You only use .. These pre-filters fit our 16"x16" filter pan and can be washed and reused many times. You will.. This filter pack includes one heavy base filter and 6 pre-filters. 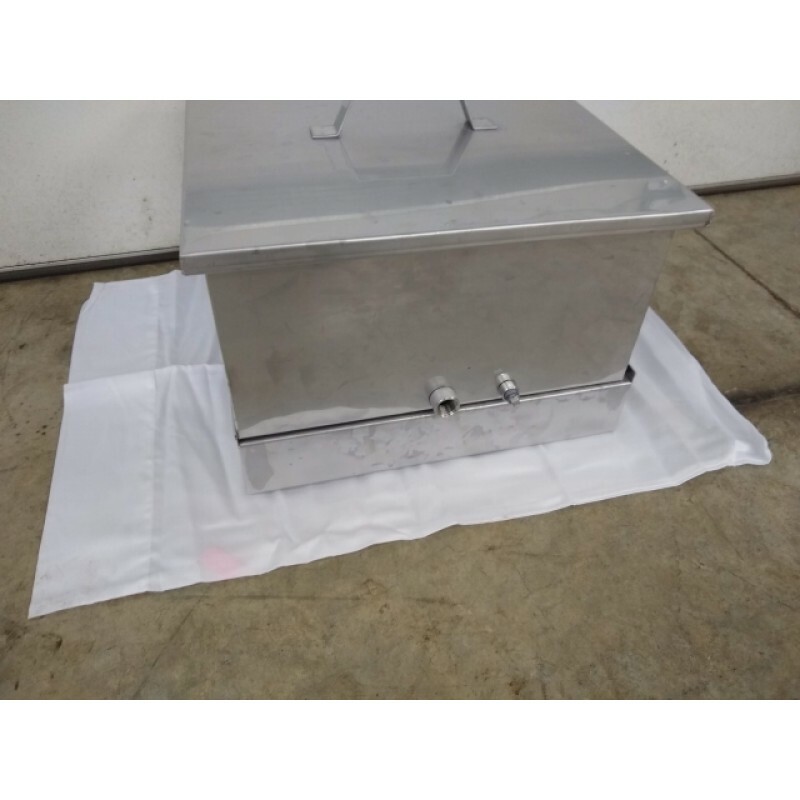 These fit our 16"x16" filte..
24"x48"x8" continuous flow maple syrup pan. 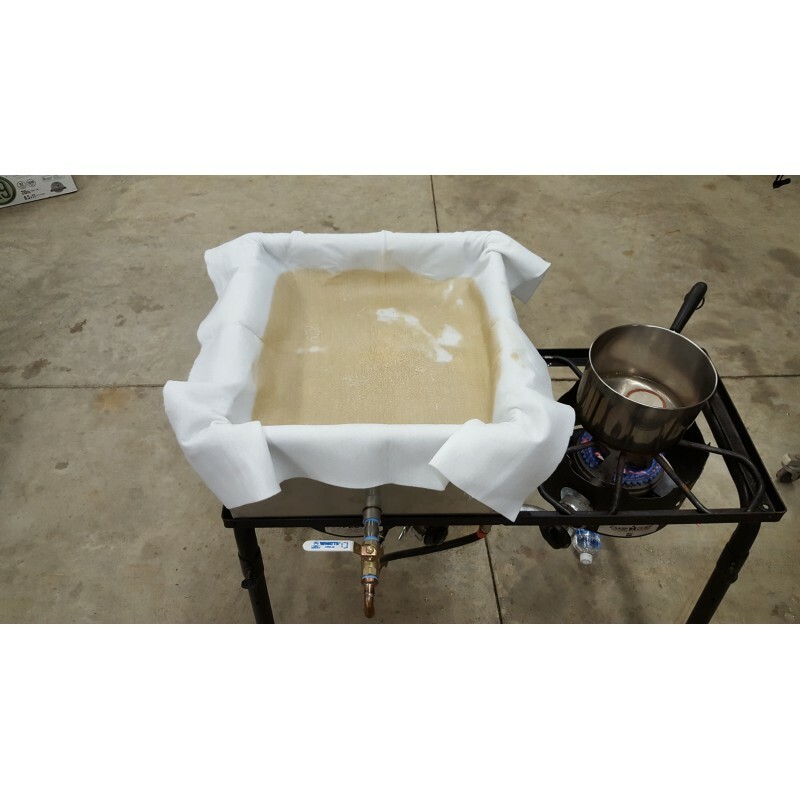 Made from industry standard 20 ga 304 stainless st..
24"x36"x8" continuous flow maple syrup pan. Made from industry standard 20 ga 304 stainless st..